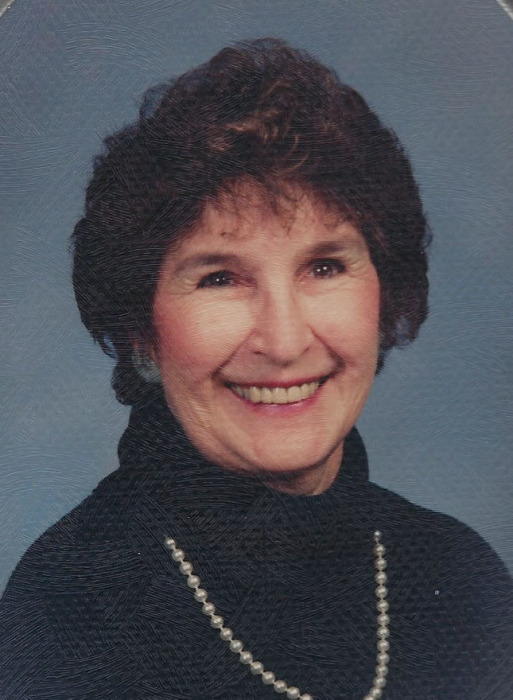 Mary Ann Heinritz passed away with her family by her side on February 4, 2019, at St. Elizabeth Hospital in Appleton, Wisconsin. She was born on January 31, 1930, in Ashland, Wisconsin. Her parents were Eli and Catherine Lolich. In 1953, Mary married Earl Heinritz of Appleton, Wisconsin. They shared 45 happy years together until Earl died at the early age of 68 in 1998. Mary and Earl were blessed with three sons: Scott, Richard, and Christopher. Mary graduated from DePadua High School in Ashland, Wisconsin. She then graduated from Northwestern Institute of Medical Technology. She completed an internship in Ames, Iowa, before beginning her career as a medical technician at ThedaClark Hospital in 1953. She transferred to Appleton Medical Center (Appleton Memorial Hospital) in 1960. She continued her career in medical laboratory science for 40 years. Mary was a naturalist by avocation. She found fulfillment by serving as a volunteer naturalist for 14 years at Mosquito Hill Nature Center in New London, Wisconsin. Those years with her compass, magnifying glass, and petri dish were her most satisfying years. She was also a master gardener, and she was happiest in her own backyard with her flowers, birds, and varmints. She spent weekends at the family cottage caring for all of the natural beauty there as well. Mary was also a dedicated reading tutor at Lincoln Elementary School in Appleton, Wisconsin. She spent 13 years helping young children learn to read, and she also spent a few years doing the same thing at the Appleton Boys and Girls Club and Appleton Public Library. Mary always had a book in her hand and a pile of books to return to the library. She was an avid reader who preferred mystery books and nonfiction books about nature. On the domestic side, Mary loved to bake—even when she knew she shouldn’t. She made delicious cakes, breads, bars, cookies, and shared them with those she loved. Family holidays were always filled with Mary’s special treats. Mary also loved to travel. Her favorite trips were to Alaska, Europe, Central America, and aboard a couple of cruise ships. She traveled enough to be social, but she preferred being comfortable and happy at home with her family, playing Sheep Head with her card club friends, going out to dinner on Wednesdays with “the ladies,” and spending time with her beloved goldendoodle, Penny. Mary was a Bible student with a slant toward conceptual style that provided religion, culture, geography, and history all in one presentation. Mary was a member of St. Pius Church for decades, and she often volunteered to help with funerals. Mary was preceded in death by her parents Eli and Catherine Lolich; her husband Earl; her siblings Elaine (Bill) Nye, Ted (Beverly) Lolich, Raymond Lolich. She leaves behind her three beloved sons: Scott Heinritz, Christopher Heinritz, and Richard (Julia) Heinritz; four grand children: Jennifer Heinritz, Eli (Stephanie) Heinritz, Noah Heinritz, and Stephanie Heinritz; three great-grandchildren: Liviana, Lila, and Sullivan; many nieces, nephews, and cousins; and her special friend Carla. A Mass of Christian burial for Mary will be 11:30 AM on Friday February 8, 2019 at ST. PIUS X CATHOLIC CHURCH, 500 W. Marquette St., Appleton, with Fr. James Jugenheimer officiating. Visitation will be held at the church Friday morning beginning at 9:00 until 11:15 AM, with the Mass to begin at 11:30 AM. Inurnment will be at St. Joseph Catholic Cemetery, Appleton at a later date. In lieu of flowers, please consider donating to the American Cancer Society or a local animal shelter. Mary’s parting gift is a simple recipe for a long and contented life: Let something beautiful sing to your soul every day!